I was reading the BoF-McKinsey 2018 fashion projection report and it claims that clothing and footwear sales will increase in continents like Latin America, Africa and Asia – while it decreases in the USA and Europe. I couldn’t help but wonder how this will affect Africa and South Africa specifically. South Africa has faced two economic downgrades by credit rating firms in 2017 alone. Needless to say, our economy hasn’t been booming on international standards. With a very strong branded sneakers culture I wondered how we are going to afford this “increase” in sales. 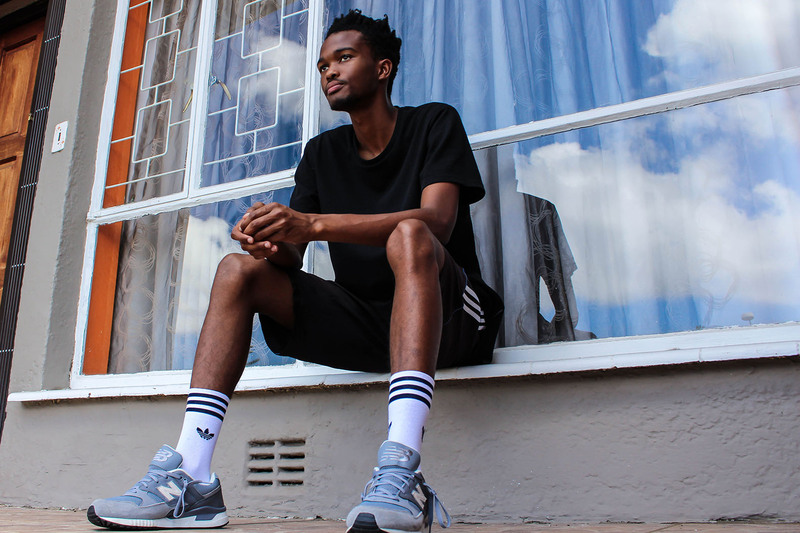 So I sat down with Nhlanhla Mazibuko a passionate sneaker lover from Port Elizabeth. Port Elizabeth is a small city on the coast of the Eastern Cape in South Africa. While the city itself might be labelled as “developed”, retail fashion is not as fully fledged like other cities. For example, online shopping is somewhat inconvenient because the most convenient and cost-effective fashion distributors that offer seamless services just happen to thrive in cities like Johannesburg and Cape Town. If you reside in the “outlying areas” you have to put in a little more effort to get the best options delivered to your door. So Nhlanhla, a university student with a very limited budget, told me how he works around the costs and how he manages to get something a little different from the limited stock in local stores. Watch the full interview below for more of what he had to say.